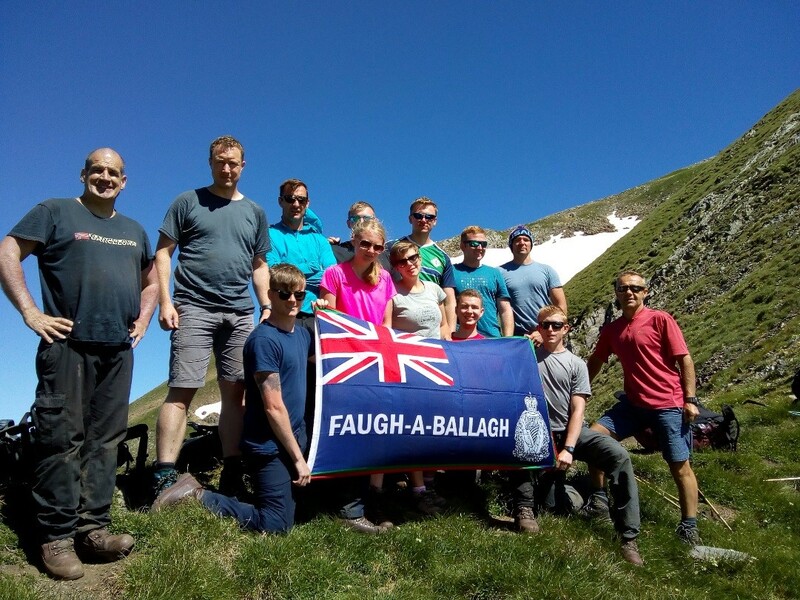 This was 2 R IRISH’s main Type 3 AT activity for the current trg yr and was designed to give all serving members the opportunity to experience an arduous trek in a completely new area. 13 members of 2 R IRISH took part and they were joined by three members from Queens University OTC. The main aim was to retrace the Pat O’Leary Line, a WW2 escape route used by downed pilots and others fleeing Nazi occupied France. It is an arduous route and eventually leads through to Spain. 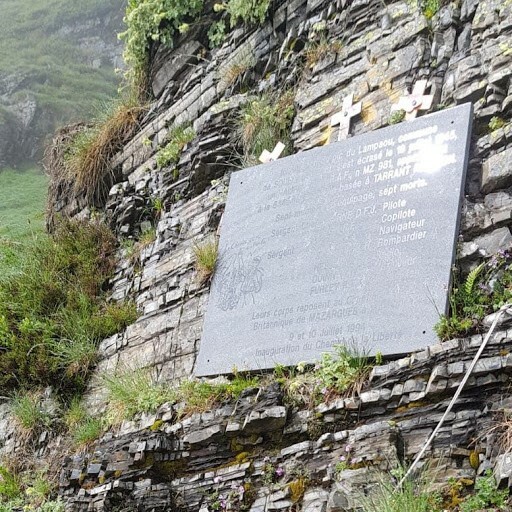 Six SP, including the exped Leader, Capt Martin left Belfast on the Liverpool boat on the night of the 16 Jul for the long journey through England to Dover, over to Calais and onwards to our initial base in the town of St Girons. This passed off with no hitches, thanks to the careful planning of CSgt Scott. The main party of ten, flew into Toulouse on 25 Jul and were picked up and brought to St Girons all ready for their first night under canvas. An intense period of briefings and admin took place and the trek began the next morning. Fourteen members trekked, with two remaining in admin support. Day 1 consisted of a 20km trek through rolling countryside, through small hamlets and was used as an acclimatisation trek, with just daysacks carried. CSgt Scott drove to the campsite to deliver the rucksacks and feed us all some hot food. The day had started dry but we experienced the first of the much-heralded afternoon thunderstorms, so the Gortex got it’s first good test. 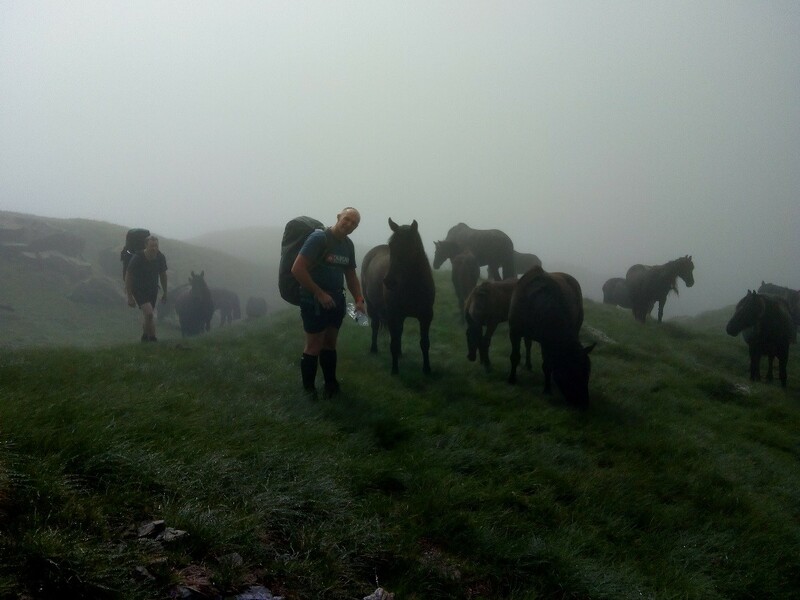 On Day 2 we set off in dry conditions, complete with rucksacks, tents and three days of rations, but very quickly we were in the mist and drizzle for the remainder of the day. The terrain started to change and become steeper and more mountainous and a few individuals needed a bit more encouragement. Eventually after 17kms we reached La Cabane de Subera, which is really a shepherd’s cottage with a bothy latched on. It was fully occupied but we were allowed in to warm up at the fire, which was much appreciated. 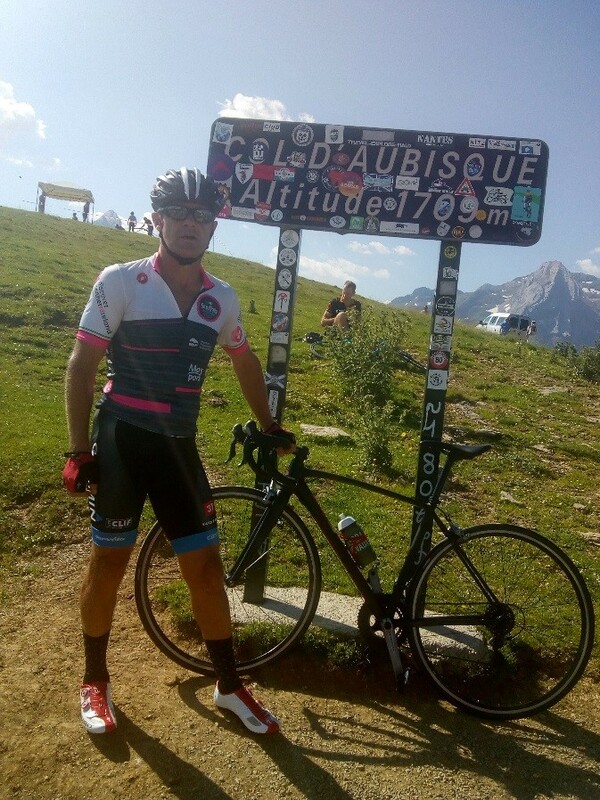 Day 3 was a beast with 1300m of climb over 12 kms. We set off early and made steady progress and the sun eventually came out. 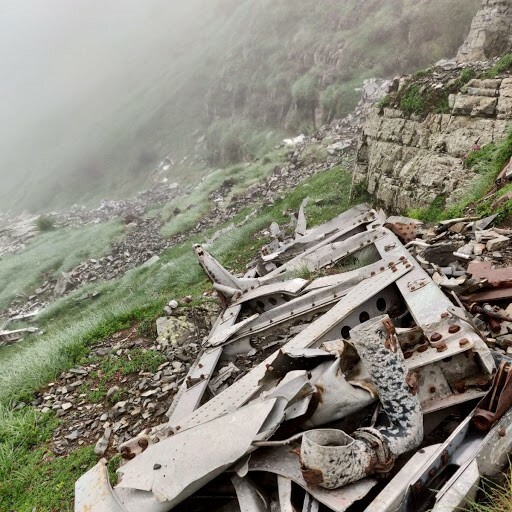 On this leg we paused at the wreck of a RAF Halifax bomber (complete with memorial) which had crashed killing all it’s crew. 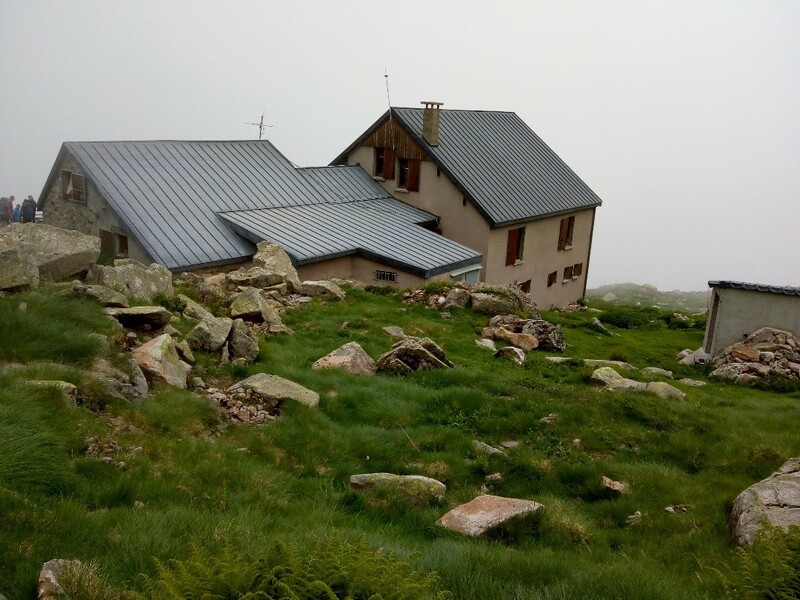 Eventually we reached Refuge de Estagnous and some people took full advantage of the facilities, by booking a bed, shower and a hot meal. The remaining hardy souls roughed it in tents and had a wash in an icy lake. 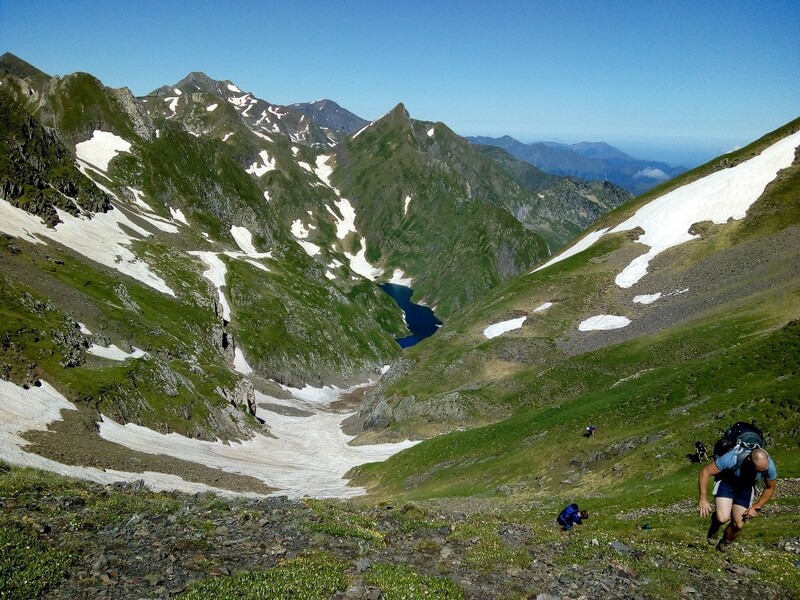 Day 4 was another tough one, with a big descent to Elang Rond, followed by the long drag up to the highest point of the trek, the Col de la Pale de Clauere at 2524m. Enroute we encountered deep snow which we had to skirt around and this made it tough going for a few in the group. The col marks the border with Spain and must have been a welcome sight for the escapees during the war. Photos all taken, we headed down into Spain and true to form were greeted by Spanish sunshine. This was a long trek and a few people were now suffering from blisters and hotspots but at least we were following a stream so there was plenty of water available at all times. We reached a manned refuge at around 1700hrs and with 10kms still to go the exped leader decided to book in for the night. Good food, showers and a bed each, good for morale. The next morning, we walked the 10km to the town of Isil, the end of the trail and were picked up by CSgt Scott who had some food prepared. We then set off on the long drive through the mountains to our next base in Laruns. Eventually we reached a road closure due to the Tour de France and had no choice but to sit it out. Capt Martin is a huge cycling fan but this was unplanned, however it gave everyone the chance to witness one of sport’s great spectacles and everyone enjoyed it. It was late when we got into Laruns, so we ate out that night. It also cost us admin time so the next day’s trek was suspended to allow kit to be cleaned and dried before return. The following day the air party flew home and the road party prepared to break camp. 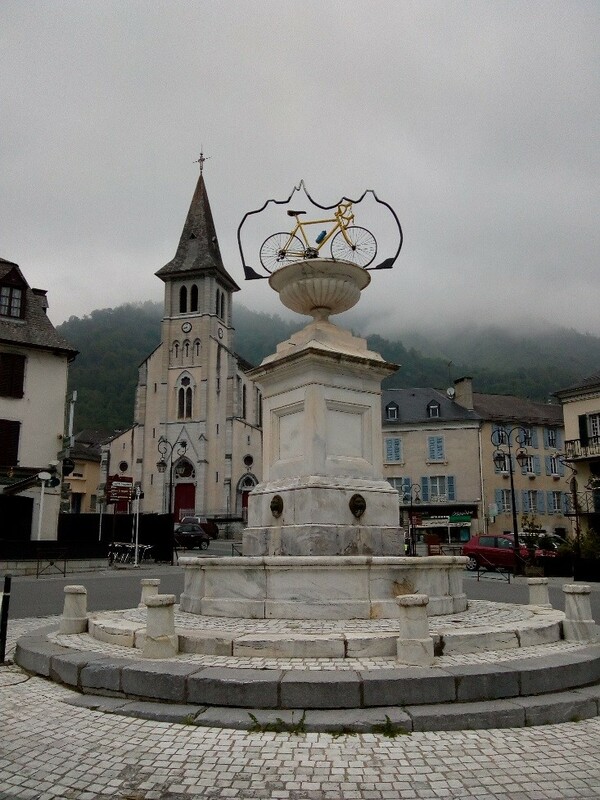 They set off the next morning and managed to watch another TDF stage, planned this time. It was great to see Britain’s Geraint Thomas ride past in yellow on the way to winning this year’s race. The journey home had no hitches and all kit made it home. A fantastic all-round experience, in a great area which everyone thoroughly enjoyed and hopefully it will have planted the AT seed in some of the younger participants. Of special mention was Cpl Baine, the second JSMEL, who was of great value during the tougher, steeper sections of the trek. The continued support of the Ulysses Trust is vital in allowing these types of expedition to take place. As a unit 2 R IRISH maintained the mandated percentage of personnel taking part in a Type 3 expedition, as per Directive. It allowed 10 new people the opportunity to experience an arduous trek and will hopefully sow the seeds for a new generation of AT enthusiasts. The unit will exploit the expedition in it’s recruiting campaigns and it further enhances the vigorous retention plans that are in place to keep our troops engaged.